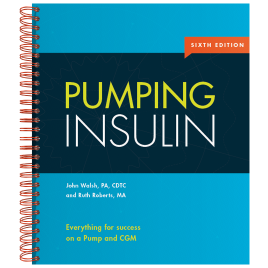 Learn the best methods to prepare yourself, your pump, and your infusion sets for use. After choosing your pump and choosing your infusion set, there are a number of things to do before you are ready to use your insulin pump.Train and practice the following pump start techniques. For sites, most pumpers prefer the abdomen, but anywhere you can "pinch an inch" will do. The upper buttocks, thighs and back of the upper arms also can be used. Today’s pumps have a variety of ways in which they attach an infusion set or a patch pump itself to the skin to deliver insulin. The skin is prepared in a similar way for any of these variations. Tapes, skin preparations, and transparent dressings can greatly aid safe pump operation. There are a number of dressings that have good adhesive qualities as well as anti-bacterial protection. There are a wide variety of Infusion Sets and insulin pumps available. Regardless of which set or pump you choose, there are certain things that must be done to prepare for their use. Now it's time to insert the set. Learn more about the different options for insertion and how to take care of the infusion line so it doesn't get yanked out..